THESE BOOKS ARE AVAILABLE (IN SOFT COVER PRINT AND VARIOUS ELECTRONIC VERSIONS ) THROUGH AMAZON, BARNES AND NOBLE, AND THE AUTHOR/PUBLISHER WEBSITE. The primary author, Dr. Max Hammer, was a distinguished Psychology Professor and supervisor of graduate students and interns in the clinical psychology, psychotherapy, and counseling practice training program of the Psychology Department at the University of Maine, for many years, as well as a respected psychotherapist and clinical psychology consultant and diagnostician. Dr. Max Hammer was one of the original core clinicians who founded and developed the Clinical Psychology program at the University of Maine, beginning in the 1960’s. In his work with graduate and undergraduate students in that program, Dr. Max Hammer provided a refreshing Humanistic and Transpersonal perspective, with an emphasis on flexible, warmly caring, empathic responsiveness to the needs of the individual psychotherapy client. A secondary contributing author is Dr. Alan C. Butler, a distinguished colleague and friend of Dr. Max Hammer’s. Dr. Butler, a Cooperating Associate Professor of Psychology at the University of Maine, as well as a psychotherapist, clinical psychology consultant, and diagnostician, was one of the original staff members at the University of Maine counseling center, and served as the Training Director for its internship program for over thirty years, which he was instrumental in developing. Both Dr. Max Hammer and Dr. Alan C. Butler helped gently nurture and encourage thousands of graduate and undergraduate psychology students in their own individual journeys of personal reflection and transformation. The other secondary contributing author, Dr. Barry J. Hammer, also from Maine, has a specialization in the history of world religions, and for many years has studied the process of psychological and spiritual transformation, and its applicability to enhancing human relationships and compassionate social change. 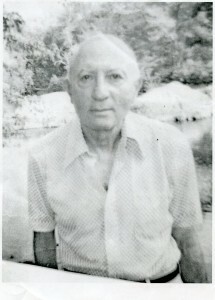 The primary author, the late Dr. Max Hammer, was an editor and a major contributor of two previously published books, The theory and Practice of Psychotherapy with Specific Disorders (Springfield, Illinois: Charles C. Thomas Publisher, 1972); and The Practice of Psychotherapy with Children (Homewood, Illinois: Dorsey Press, 1967). He also published about 30 articles in the fields of psychotherapy and clinical psychology. We authors are inspired by a sincere, heartfelt sense of compassionate responsibility to provide readers with psychological and spiritual insights that will serve as helpful loving keys to enable readers to compassionately transform their individual life, personal relationships, and society. We authors make a preliminary outline, and then let our spiritual and psychological message unfold itself through us, as its intuitively receptive instruments. That process of open receptivity enables insights and inspiration to spontaneously flow through us in our writing. We advise other authors: Be clear about the basic message that you wish to communicate to the readers, summarize the gist of your message for the readers in a clear, concise, engaging manner; wholeheartedly put your whole being into the writing process; let your basic message spontaneously unfold itself into your open, receptive, non-interfering, heart, mind, and keyboard; let your readers feel that you are speaking directly to them, and also listening responsively to them, in a sincerely caring, genuinely compassionate manner. I, Barry Hammer (one of the co-authors), decided to publish both books with Strategic Book Publishing and Rights Agency Company (SBPRA) because they are reliable and trustworthy in the way that they respond to authors’ needs and concerns, and they are reasonably priced. Another factor that induced me to publish with them is that their sister companies (Publish on Demand Global [PODG] and Author Marketing Ideas [AMI] offer very effective, reasonably priced, international publicity and marketing services, including representation at major international book fairs and in international book catalogues. I would advise authors to do an internet search to see which publishers or self-publishing companies are viewed as reputable and effective in their editing and marketing services, and which have credible complaints against them. We hope to see more websites where readers can search for books by genre or topic, and where individual books and authors can be rated for quality of content and readability. We also hope to see publication of more books with serious intellectual, spiritual, psychological, or transformational value, as an alternative to more escapist books.